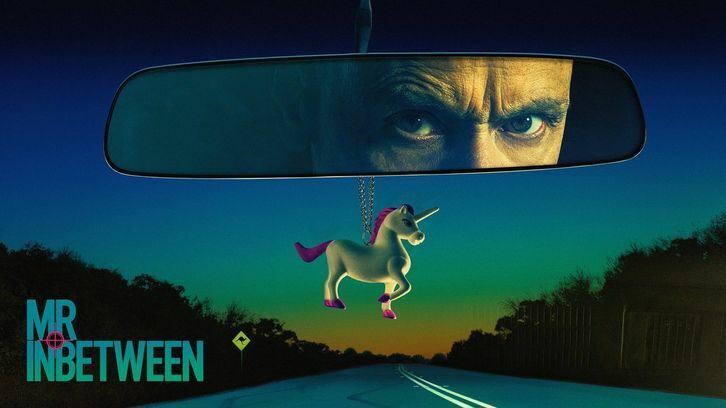 FX have renewed Mr. Inbetween for a 2nd Season. Mr Inbetween, the new Australian drama series created by and starring Scott Ryan as the criminal-for-hire “Ray Shoesmith”, has been renewed for a second season by FX Networks and FOXTEL, it was announced today by Eric Schrier and Nick Grad, Presidents of Original Programming for FX Networks and FX Productions, and Brian Walsh, Executive Director – Television, FOXTEL. The second season will premiere in 2019, broadcasting day-and-date on FX in the U.S. and FOXTEL, Australia’s leading cable network. In Mr Inbetween, Ryan plays “Ray Shoesmith”, a father, ex-husband, boyfriend and best friend: tough roles to juggle in the modern age. Even harder when you’re a criminal for hire. The six-episode season, written by Ryan and directed by Nash Edgerton, stars Ryan, Damon Herriman, Justin Rosniak, Brooke Satchwell, Jackson Tozer, Nicholas Cassim, Chika Yasumura and Matt Nable. In the U.S., Mr Inbetween is averaging 2.25 million viewers across all linear and non-linear platforms. In Live+7, the series premiere of Mr Inbetween (Tuesday, Sept. 25, 1126P-1201A), lifted +99% from Live+Same Day in Adults 18-49 (577,000) and +113% for Total Viewers (1.4 million). Among Total Viewers, the gain was higher than the previous six FX drama series premieres. The second episode (Tuesday, Sept. 25, 1201A-1235A) lifted +97% in Adults 18-49 (429,000) and +110% in Total Viewers (1.1 million). Mr Inbetween returns tonight, Tuesday, October 9 on FX with the final two episodes of the first season beginning at 11:14 p.m. ET/PT and concluding at 12:19 a.m. Episode 5, “Hard Worker”- People are not always what they appear to be and a good strong name is important. It’s also important to lock your car when you leave it. Written by Scott Ryan; Directed by Nash Edgerton. Episode 6, “Your Mum’s Got a Strongbox.” In the second half hour, a nutritious breakfast is the key to good health. As is looking in the trunk before you steal a car. People say they do but does anybody really like surprises? Written by Scott Ryan; Directed by Nash Edgerton. The series was shot in Australia and produced by Blue-Tongue Films and Jungle Entertainment, in association with FX Productions, Screen Australia and Create NSW. Ryan, Edgerton and Jason Burrows are Executive Producers andMichele Bennett is Producer.